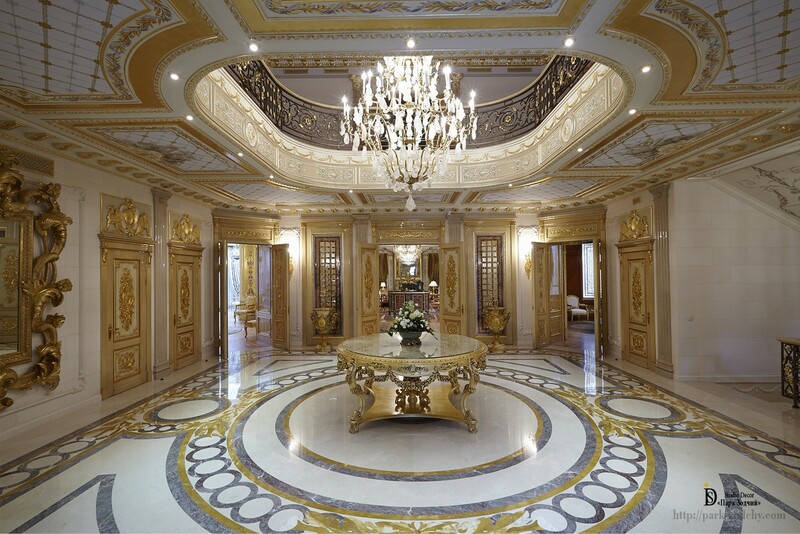 Palatial interiors boggle imagination with the abundance of décor, magnificent furniture, iconic elements, and attract attention for centuries. Come to think of it, this is not the merit of kings and emperors, ancestors of noble families, but talented architects and artisans who created harmonious masterpieces. 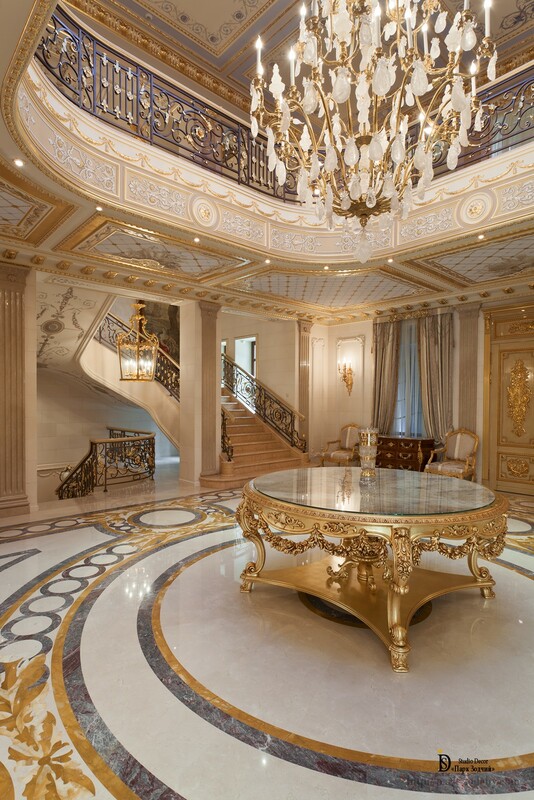 Majestic Classic-style Interior of the country residence may become the proof that in our time “talents in Rus have not died out still”. Without exception, all items of décor and Interior have been made by modern masters. This Interior cannot be attributed to the style of kitsch, it is not raising insipidity. Everything is built in logical decorative range and performs the single selected compositional idea. The Interior does not contain bright color spots. 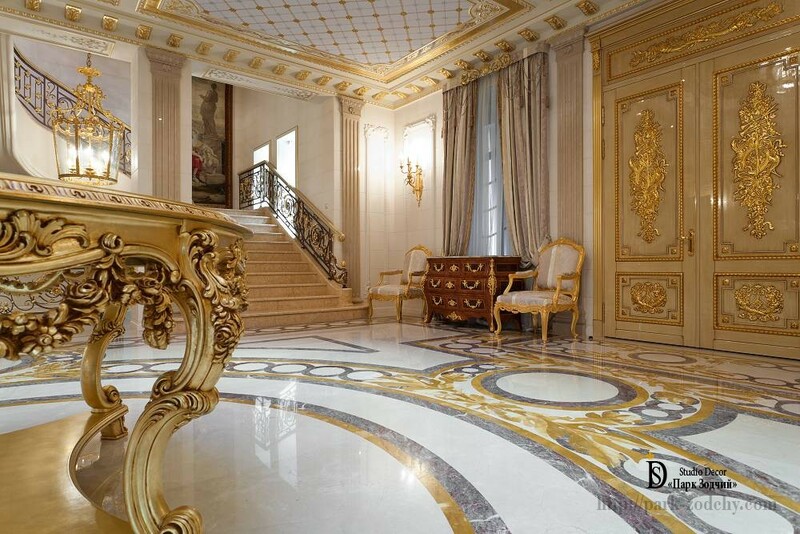 However, subtly drawn up mural paintings, competently performed gilding of wooden items and stucco moldings, perfectly matched pattern of the marble floor, usage of decorative elements has made the hall a true masterpiece. The colors complement each other: beige and gold, subdued blue and brown have done their work. The Interior does not repel by the abundance of décor. This was made possible through the hard work of artists while creating mural paintings and stucco moldings, gilders, cabinet-makers and masters of other areas of Classic-style decoration. Overhang of the balcony does not overload the Interior, decoration is performed in such a way that it gives the impression that this architectural element was specifically designed to create exactly this image. Two-color space has acquired extraordinary lightness. Due to this, the height of the hall has not been affected. 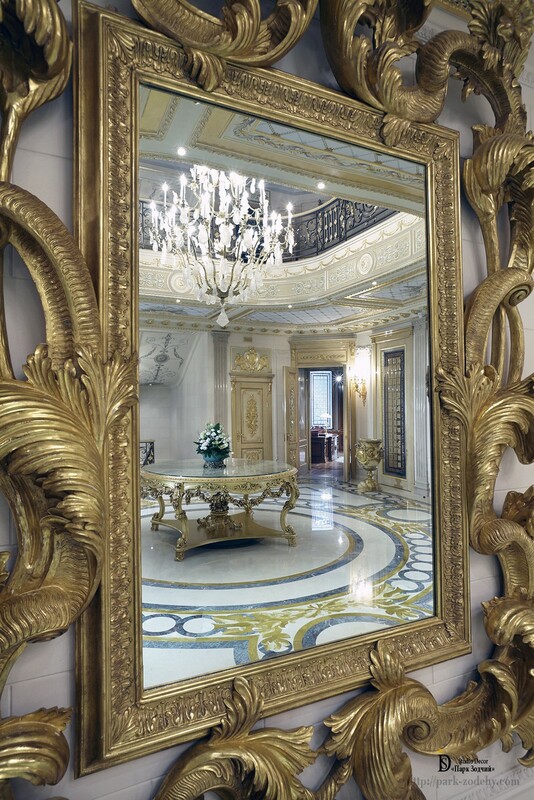 The stated objective to make the Interior inimitable, unique in its own way, was carried out due to the knowledge of all subtle aspects of the Classic style, talents, great experience, specialized training of masters. Unambiguously, you can say: this Interior is the anthem to skill worthy of applause. At the time when many areas of applied art die, acquired masters’ skills have been turned into the craft at the highest level. The masters apply them in order to implement projects on decoration of complex and beautiful interiors.